The Red Panda (Ailurus fulgens) is the sole surviving representative of a family of small to medium-sized Carnivorans known as the Ailuridae (Gray, 1843), more commonly referred to as lesser or red pandas. This group, whose history dates back to the Oligocene, were once quite diverse and widespread in the forests and woodlands across the Northern Hemisphere, occupying niches that we today would associate with genets, civets, and foxes. The extant Red Panda itself is a highly specialized animal that feeds almost exclusively on bamboo, a dietary preference it shares with the much larger, unrelated Panda Bear (Ailuropoda melanoleuca). The word "panda" is in fact derived from a Nepalese term that means "eater of bamboo"- nigalya poonya. 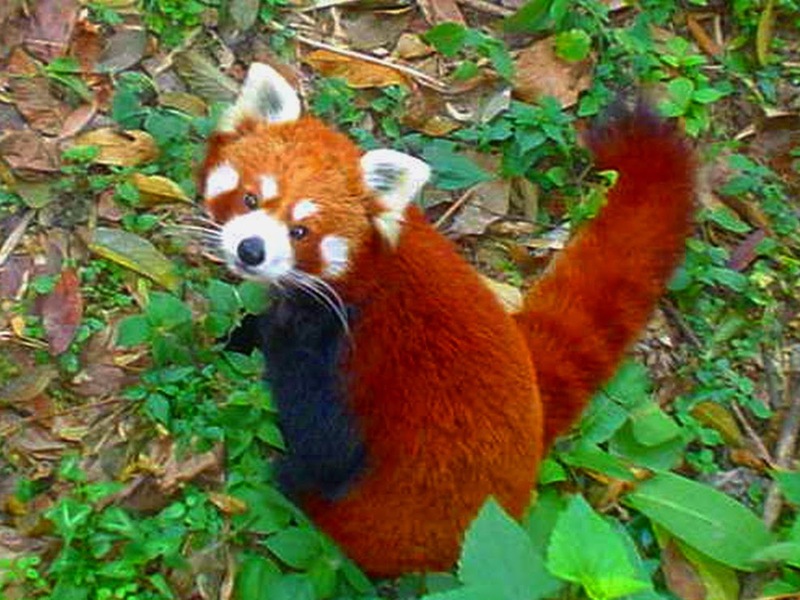 When French zoologist Frédéric Georges Cuvier described the Red Panda in 1825, he thought the animal was a type of raccoon, and so placed it in the Procyonidae. It was British zoologist John Edward Gray who placed it in its own family, Ailuridae, in 1843 based on differences in its physiology and behavior. At one time the Red Panda has even been considered to belong to a new and ultimately rejected family called the Ailuropodidae together with the Panda Bear. This theory was rejected after the recognition that the Panda Bear is, as its name suggests, a true bear within the family Ursidae. Subsequent paleontological discoveries have now confirmed the Red Panda’s place in its own distinct family and recent DNA analysis has backed this up. The Ailuridae belong to a carnivoran clade known as the Musteloidea, which includes the Mephitidae (skunks), Procyonidae (raccoons and their relatives), and the Mustelidae (weasels and their relatives). 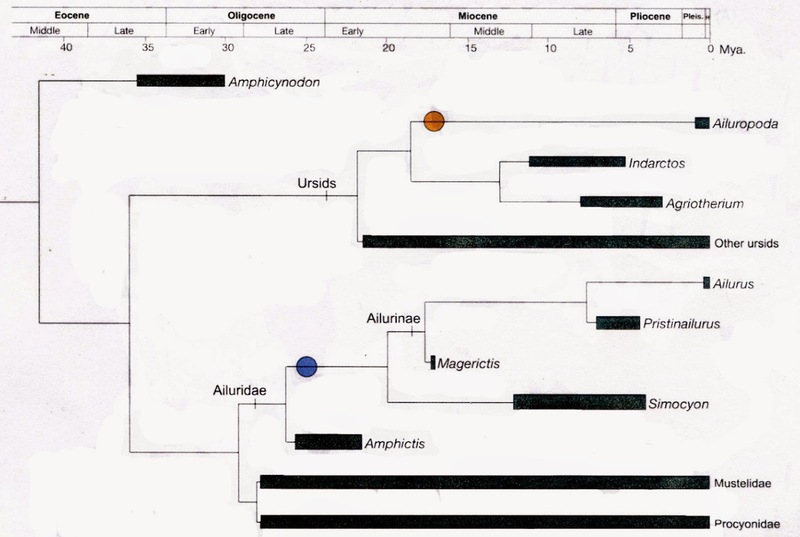 ranges of Ailuridae and other related families within Carnivora. Figure 3 from Salesa et al., 2006.
Notable Ailurid characteristics include canines with lateral grooves, an elongated second molar on the lower jaw with absent third molars, and the presence of mobile radial sesamoid bones, also known as “false thumbs”.